There’s nothing like a hook-laden indie anthem to spark your attention and it’s even better when you discover it’s from a band made from a collection of good friends. Sea Girls have managed to catch many industry gazes and are now headed to the top. Renowned for their frantic live shows, these four have combined their beautifully wide and off-beat influences to produce an abrasive passionate sound. 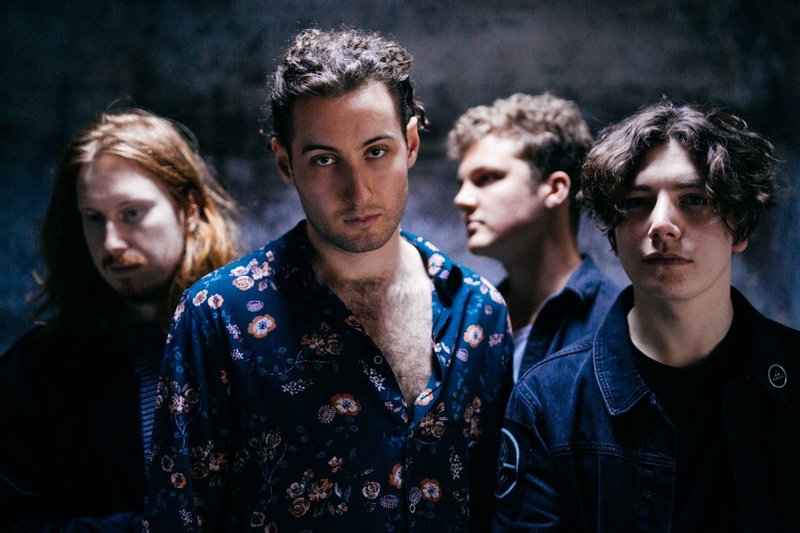 Having recently supported The Academic and receiving attention from Radio 1’s Huw Stephens, the quartet are set for big things. Arriving in London via Leicestershire and Kent, Sea Girls know there is nothing understating about a bold chorus, especially one that can be sung in unison amongst multiple voices. Rooted in that pummelling, entirely infectious chorus mindset, the punchy energy is matched to a softly bittersweet feel, ultimately ending with thrillingly taut live performances. Having a huge response from single ‘Heavenly War’, the band were slightly taken aback. With festival season fast approaching, the band have lots to look forward to. ‘We are just anticipating having like 16 or 18 festivals to play and having an incredible summer,” says Henry. With many in the pipeline to await, the group have already been added to the line up of some of the biggest ones around.“I think when you get your names down for Reading and Leeds, that’s the ultimate goal and something really special,” he humbly explains. “There are just so many of them that are cool. Neighbourhood Weekender, that’s going to be awesome. Radio 1 Biggest Weekend, that will be cool and getting in amongst the likes of Taylor Swift,” he chuckles. Admittedly, Henry agrees that “it’s coming up fast.” Set to play a host of events this summer - including our very own stage at The Great Escape this week - they have yet to spread their unrelenting juggernaut collection of tunes. “One of our favourite shows was when we played for Clash at The Finsbury and that was awesome,” Henry tells me. “It was a bit wild, we treated it like we were rockstars!” No doubt they will be bringing the same attitude to spread across their festival crowds. Having such a vast number of singles being released left-right-and-centre, you would begin to question if an album was on the cards for these boys in the near future. Sharing some exciting news, Henry pauses, “Oh yes I should also say that we’ve got a new EP coming out!” With the announcement of ‘Too Much Fun’, the track is lifted from forthcoming EP ‘Adored’. Primed for breakthrough, the band will release this third EP on the first anniversary of their debut release ‘Call Me Out’ in June. Produced by Larry Hibbitt, this new collection of songs will most likely see the band rise well and above the indie chasing pack. “We just wanted to release quite regularly because when playing live we wanted people to know our stuff, so even though we haven’t released an album we wanted to get a bunch of tracks out there already so people will know what we’re about,” Henry elaborates. “But now we are working towards an album! We have been recording at the moment like all this week, and we are aiming for an album hopefully for the beginning of next year."